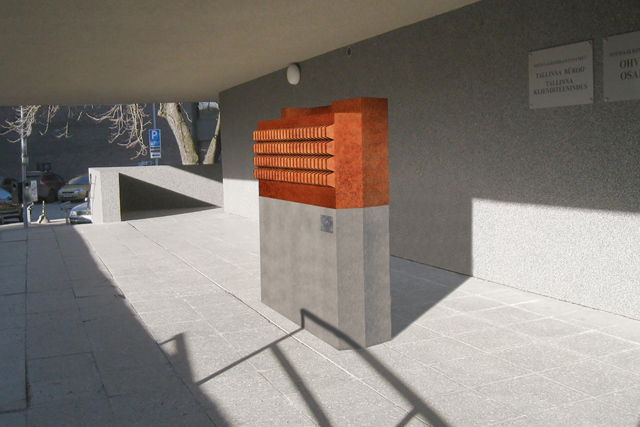 INSIDE-OUT is a public art proposal for Pronksi 12 (Tallinn, Estonia) building. 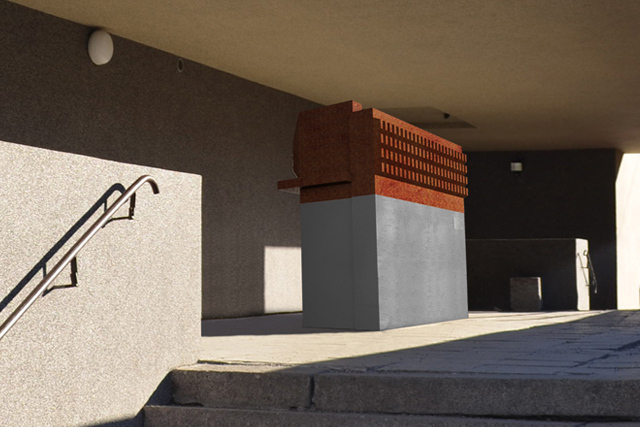 The artwork proposal received III prize in the public art competition of Pronksi 12 by RKAS (State Real Estate), Estonia. The inspiration for the art piece came from the building itself, which has a sculptural form and each side of the building has its own face that needs to be discovered and experienced. Pronksi 12 was built in 1976 by architect Malle Kusma, which is an example of neofuncionalism of 70s. The concept of the sculpture is simple and straight: we have turned the building inside-out and enabled the exploration of unseen inner forms of the building. Our aim was to establish an architectonic dialog and offer an undiscovered perspectives. 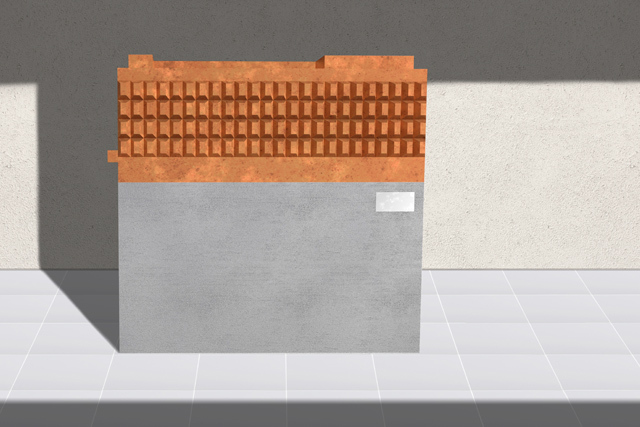 Material: metal, which get corroded with time, concrete.